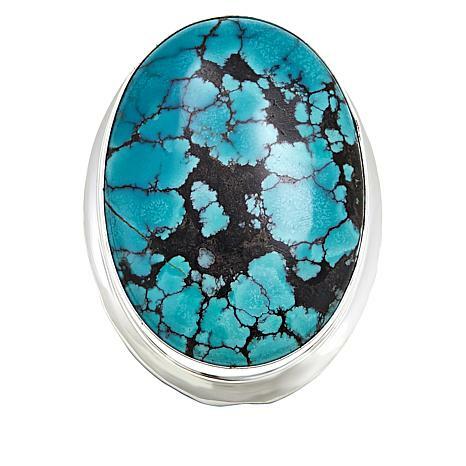 Bring a beautiful touch of natural turquoise to your accessories collection with this oval-shaped pendant. 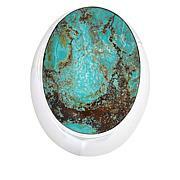 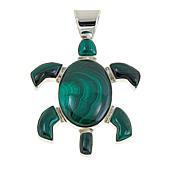 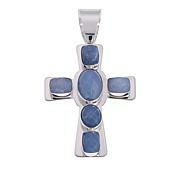 It features a polished cabochon of Hubei turquoise with its distinctive dark matrix. 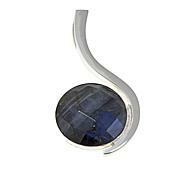 The resulting look is a pretty pendant as individual and unique as the woman who wears it!